The Travel Theme of Where’s My Backpack asks for Sculpture this week. I have seen many famous and impressive sculptures on my travels, but close to my heart are two sculptures in Hamilton, Ontario. 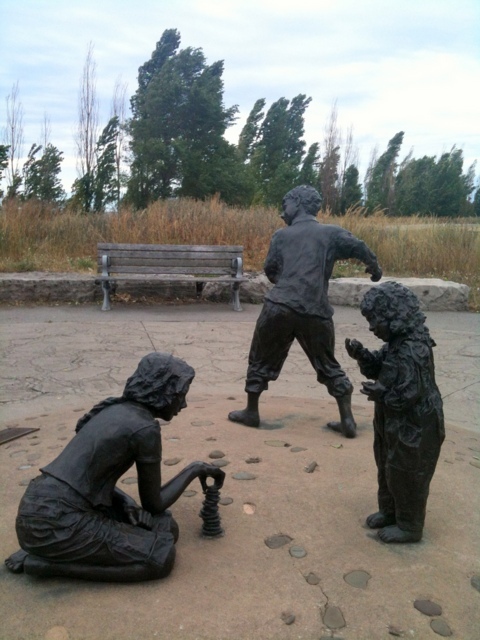 This is Pebbles on the Beach by Janus and is located on the Hamilton Beach Trail (about 5 Km from the Lift Bridge). 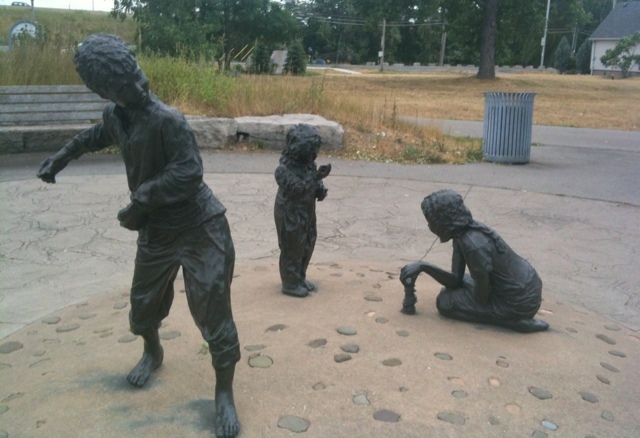 Janus grew up in Hamilton and her sculpture features three children playing with pebbles. I love their body language and the look of concentration on their faces. I am pleased to showcase to my readers these two local gems. Hope you like them. 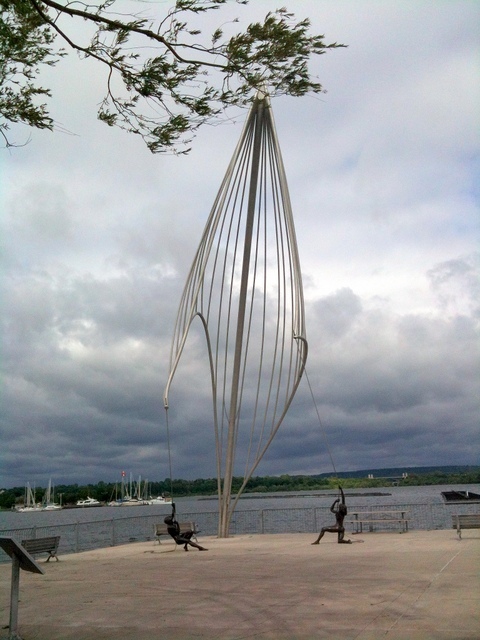 This entry was posted in Art, Trails, Travels and tagged Hamilton Beach Trail, Hamilton Waterfront Trail, Travel Theme, Travel Theme: Sculpture on June 29, 2013 by Opalla. I like them they look great. They do, and I never walk past them without pausing to take a good look. Thanks for dropping by and your support! I really like the sculpture of the kids playing with the pebbles! These sculpture are telling stories. Wonderful selection! Doesn’t the children make you wonder what’s on their minds? Thanks for dropping by. I love the art of sculpturing. Paintings can inspire and encourage, but for me, walking around a sculpture and seeing the details from every side, creates a sense of wonder. Thank you for these pictures! Thanks Marylin, for your comment. I walk past those sculptures often, and each time I pause to admire the details. My niece is in Hamilton. I’ll have to ask if she has seen these. Thanks; I will link it to her.